Christmas presents are always a difficult one. Every year there’s a couple of things that I know my friends and family are after, but more often than not I’m stuck with what to get them. This ends up in a last minute panic round town, buying something which sure, is nice, but not exactly a gift that will be used, or appreciated for a long time. As a geography student, I am well aware of sustainable consumption and Christmas is a very big time for that debate, and although I don’t want to get into it, nor am I a massive environmentalist, I do think sometimes we need to consider other options for gifts. It happens far to often that we’re buying things for the sake of it, which wont be used for a long time, and it’s time we started considering more environmentally friendly and sustainable options. 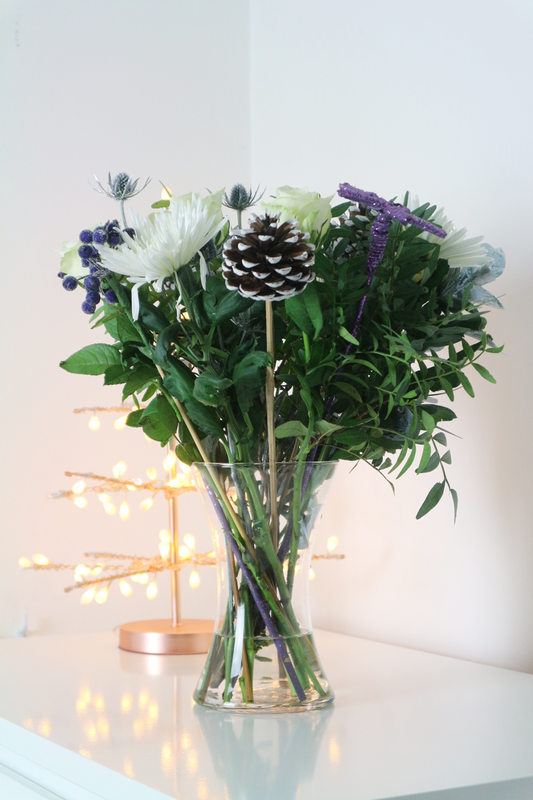 I’m not talking dramatic things like making your own gifts, or buying second hand, although these can be brilliant options too, but if you’re unsure what to buy this year, why not consider something simple like flowers? 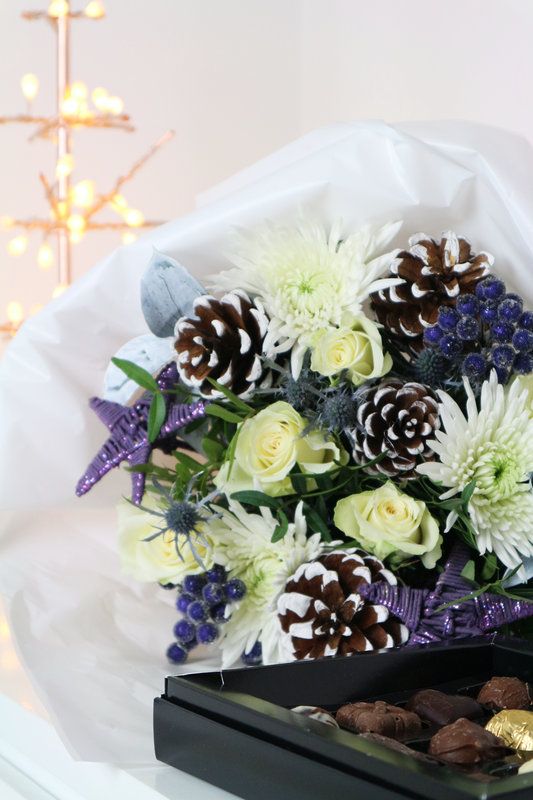 Prestige Flowers sent me this beautiful Christmas Flowers Boquet. Flowers are the perfect gift for a loved one this year. I think the present of flowers can often show and mean a lot more than your typical festive gift. 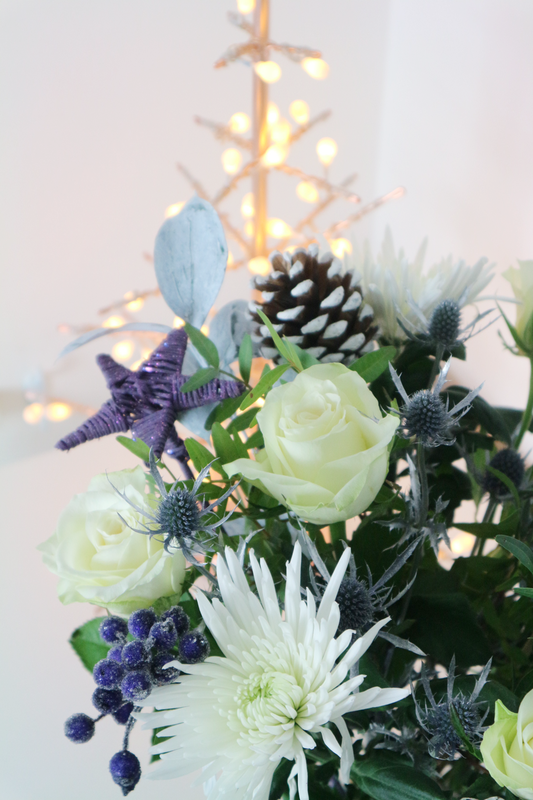 Plus it’s a pretty easy one, who doesn’t love flowers, especially Christmas ones to add to your festive decorations? These flowers are the Noel set, and came in a giant, but beautiful box, wrapped carefully with a soaked peice of material on the bottom to keep them alive in transit. Alongside it came a lovely vase so no more turning the house upside down trying to find a vase which will fit the boquet, and a little addition of some chocolates. Who doesn’t love some chocolates? I am so impressed with how beautiful the flowers are, and my mum has loved having them amongst our decorations this year! 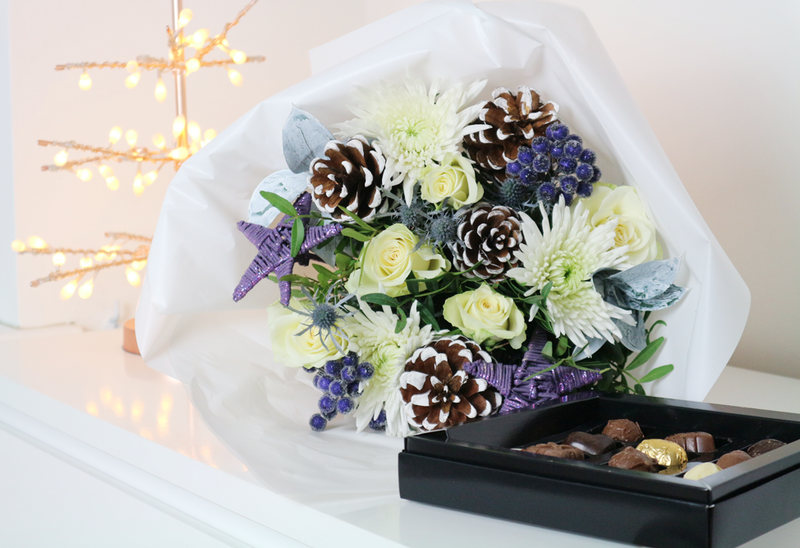 Would you consider flowers for a Christmas gift? Still stuck for ideas? See my gift guides here. "10 things I’m grateful for"